1. Homebody. Old souls are homebodies, which means they are always looking for the person that will be willing to stay in with them on a Friday night, perhaps reading poetry over candle light with a bottle of wine. 2. Materialists. Old souls aren’t impressed by materialistic things, so if you’re hoping for that new set of diamond earrings, keep wishing. An old soul will likely choose to write you a love letter over buying you jewelry. 3. Communication. Old souls are great communicators, and will tell you what they are feeling. They don’t play games, especially when it comes to relationships. Don’t be taken aback by their honesty however, because they do mean well at the end of the day. 4. Emotions. Old souls aren’t capable of having one night stands because they get emotionally invested in whoever they are dating. They feel things on a deeper level than most people do, and don’t open up to just anyone. 5. Settling. Old souls think about life in the grand scheme of things. For example, an old soul won’t settle down with you unless they think there is some future potential in the relationship. They don’t do things for no reason. 6. Shy. Most old souls have a hard time fitting in with other people because they don’t seem to have a lot in common with others. An old soul might seem standoffish at first, but they’re really just shy. So don’t assume that because they aren’t saying much, they don’t like you. 7. Understanding. They value your opinion, and are good listeners. They are very understanding, and are good at seeing things from different perspectives. So if you find yourself in an argument with an old soul, they will try to come up with a solution for your problem rather than argue with you about it for hours on end. 8. Dating. They tend to go for people that are older than they are. The hardest part about dating for an old soul is finding someone their age that understands them, which is why they end up going after people who are older than they are. 9. Relaxing. Old souls might have a hard time loosening up, so it might take some prying to get them to relax. They have a tendency to take things too seriously at times, so try to have some patience with them when they seem on edge. 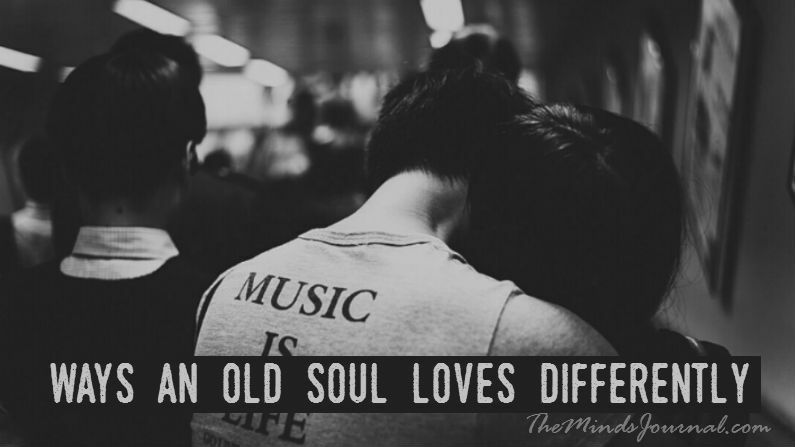 Are you an old soul ? Share With Your Friends !